Very cute pics. I wonder if he just likes to kick and bite adult men? While summertime in Saratoga is a busy stretch for New York’s equine population, Grade 1 winner The Cliff’s Edge is taking it easy nearby as a pensioner. The 16-year-old son of Gulch spends his days in his spacious indoor/outdoor paddock near the stallion barn at McMahon of Saratoga Thoroughbreds in Saratoga Springs, N.Y., where his biggest concerns during a recent visit appeared to be finding the right spot in his field to get dusty, and then the right patch of grass for a snack. 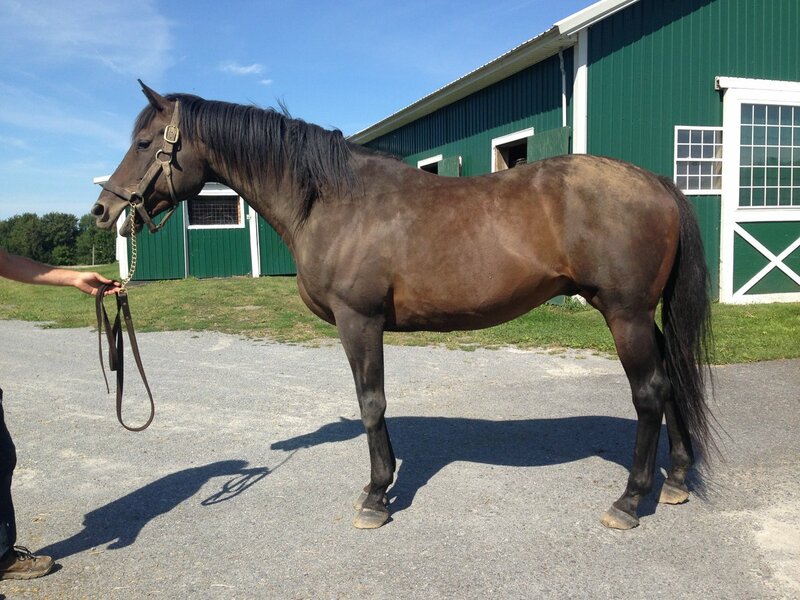 The Cliff’s Edge arrived at his current residence for the 2015 breeding season and was pensioned the following year. 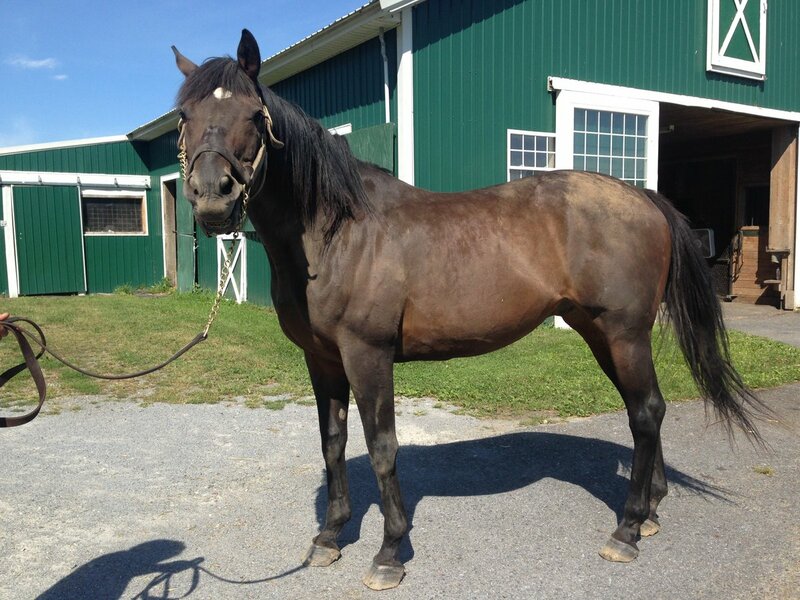 He last stood for an advertised fee of $2,500, and was gelded over the past winter. G1W The Cliff's Edge, fresh off a good roll, loving the pensioner's life in New York (story: http://www.drf.com/news/cliff%E2%80%99s ... e-new-york …). Remember Me Rescue updated their cover photo. Yeah Me Do, the oldest known retired racehorse in North America. Looks like a couple of great French geldings are headed to a second career. Solow looks so handsome in the photo. Deauville's second raceday in support of the Au-dela des Pistes charity for the retraining of racehorses on Saturday will feature the first public appearance of the brilliant Solow since owner-breeders the Wertheimers announced his retirement in May. Solow will join another fan favourite, Cirrus Des Aigles, in a parade of former champions, while racegoers will also be treated to displays of dressage, showjumping and polo featuring former racehorses. In 2013, readers fell in love with miracle baby Magna Fortuna, the subject of a profile we published when the gelding went into training. 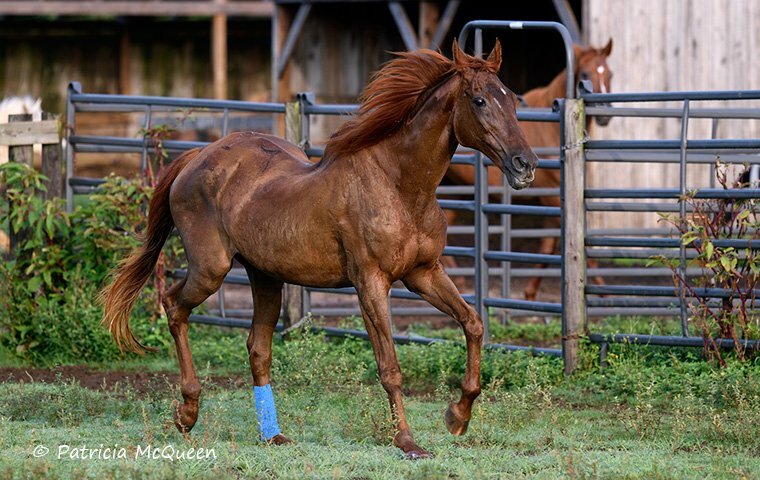 The son of Magna Graduate was rescued in utero when the Illinois Equine Humane Center (IEHC) pulled his dam, Silver Option, from a kill pen for $300. 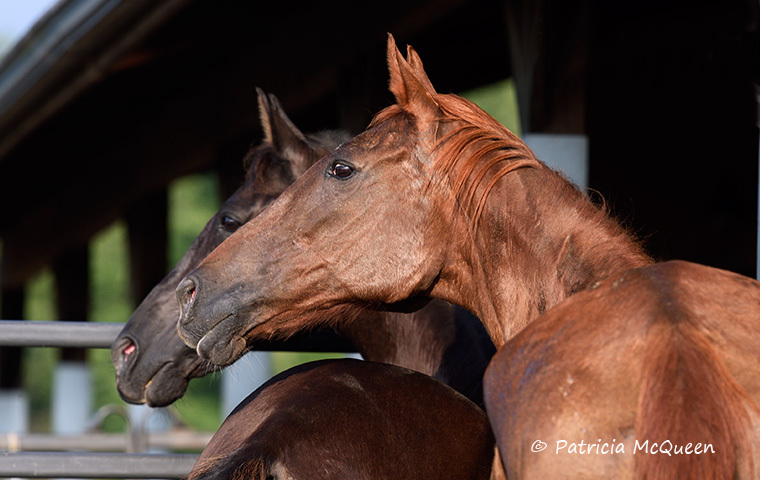 Gail Vacca, president and founder of the IEHC, remembers thinking the mare was in such bad shape that she wouldn't survive the trip to Canada. 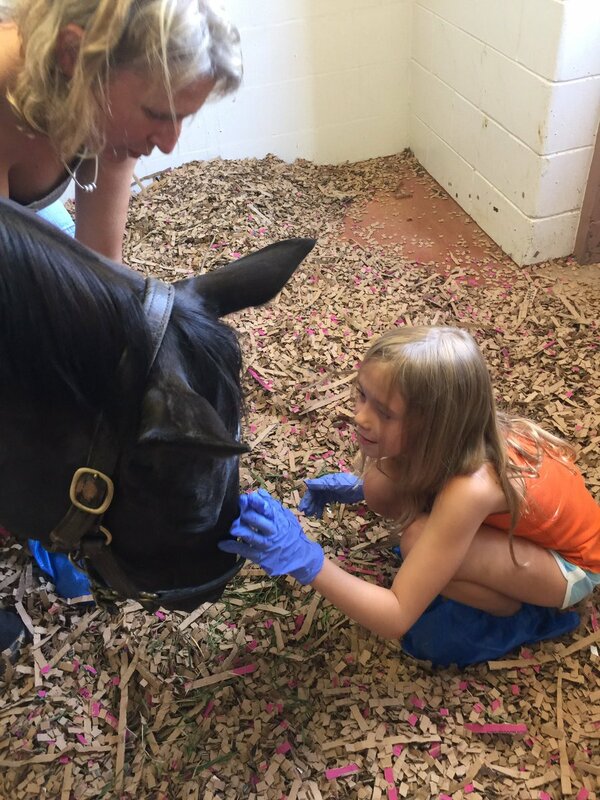 Her plan had been to humanely euthanize Silver Option, who was suffering from laminitis. It was only afterward she discovered Silver Option was pregnant and that the previous owner believed she had lost the foal early in her pregnancy. Vacca decided the resulting foal, dubbed Magna Fortuna and fondly known as “Taxi” could be an ambassador for responsible Thoroughbred ownership and aftercare, so she formed an ownership group of 15 partners to send him to the races. Taxi won twice on the Illinois circuit, in maiden special and allowance company for trainer Michele Boyce. To Mid-Atlantic racegoers, he was a familiar sight. From early 1998 until October 2005, La Reine’s Terms went to the post 40 times in the recognizable black and gold silks of his owners/breeders, Howard and Sondra Bender. He ended up in the winner’s circle on 16 of those occasions, and by the time he headed into his well-earned retirement, he won 10 stakes, was graded stakes-placed and had bankrolled $804,591. But as his trainer Larry Murray tells it, he almost didn’t make it to the races at all. In fact, he was nearly euthanized as a yearling. 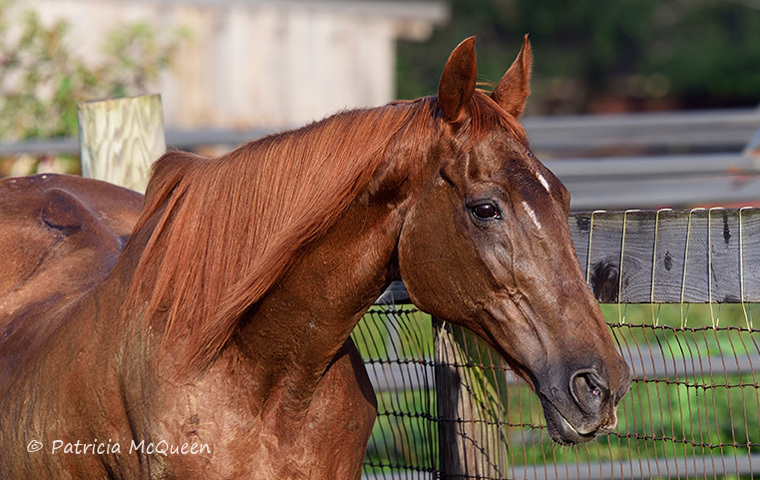 Foaled at the Benders’ Glade Valley Farm in Frederick, Md., in 1995, the son of Private Terms was produced from Sondra Bender and Anderson Fowler’s graded stakes winner La Reine Elaine (King’s Bishop—Silver Betsy, by Nearctic). 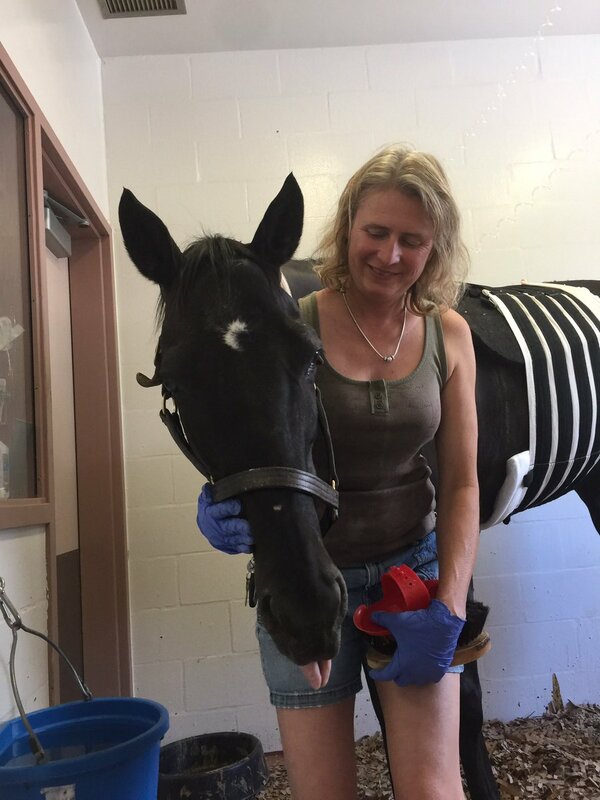 A nice update on a horse with one of the cutest names out there - Notacatbutallama. BaroqueAgain1 wrote: A nice update on a horse with one of the cutest names out there - Notacatbutallama. And he is owned by TBC's AP Val. I didn't know AP Val was Alysse. I follow her on Twitter and remember how excited she was to get Llama. He is a very spoiled and very loved Llama! Indeed. I had the pleasure of meeting Little Mike's half brother, Little Nick @ Akindale TB rescue. He is the kindest, most gentle horse I have ever seen. 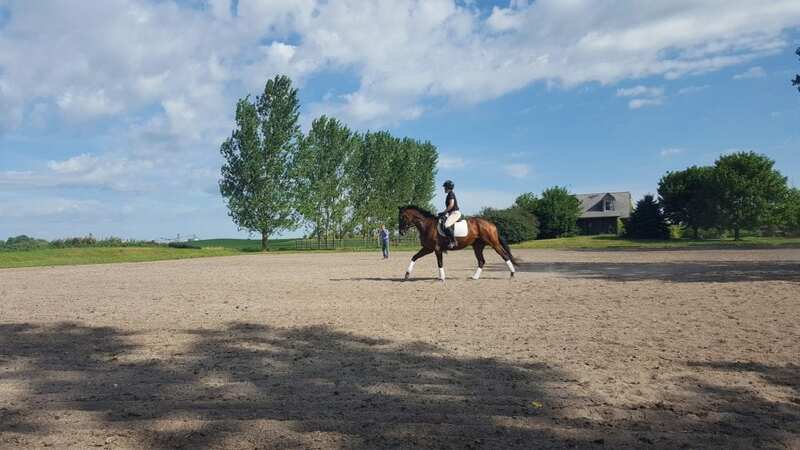 This is a lovely blog story by Barbara Livingston about a lovely horse and his equally lovely people. Totally feel-good for Thanksgiving Day. 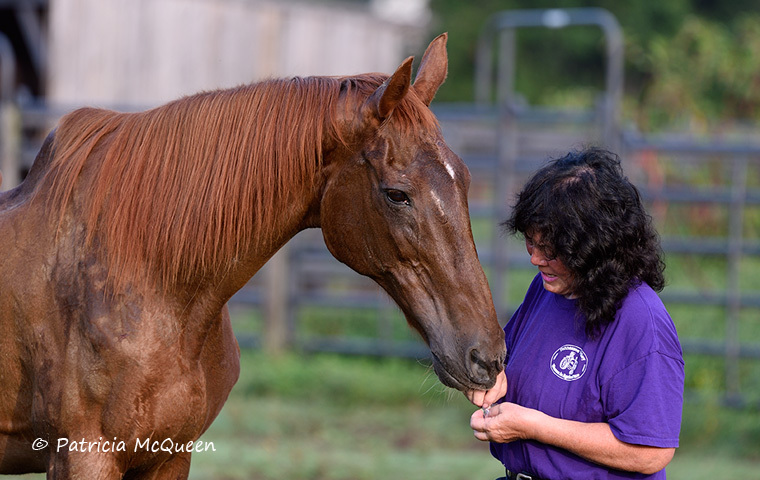 The story of a 29-year-old mare named Albany’s Secret weaves together a most unlikely cast of characters. It embodies what is best in the world of horse racing, with a little of the worst thrown in along the way. In the end, her story became a happy one, but for a while it was clearly a hard road. That road began with some of racing’s elite and breeding at the highest levels. Amerigo Lady was a major stakes winner in the late 1960s for breeder Nelson Bunker Hunt and owner Paul Mellon. For Mellon, she produced the multiple stakes winner Pass The Glass. In 1976, Amerigo Lady was sent to Secretariat – Mellon was one of the original syndicate members – and produced the winning filly Miss Tross. Mellon sold Amerigo Lady, in foal to Alydar, at the 1980 Keeneland November breeding stock sale; the buyer at $600,000 was Tom Gentry. The resulting foal, Albany Girl, was sold as a yearling in 1982 for $325,000. The buyer? Australian corporate raider Robert Holmes à Court, who was that country’s first billionaire. He loved his horses – he had several farms and bred 1984 Melbourne Cup winner Black Knight. He began dabbling in the American bloodstock market in the 1980s, but apparently without much success. Albany Girl was unraced, and à Court bred her first four foals in Pennsylvania; the mare was then sent to the Southern Hemisphere. The first three were by Diamond Shoal; the fourth and last American-bred was Albany’s Secret, by Secretariat. The chestnut filly with a small star was born April 28, 1988. Robert Holmes à Court died suddenly in September 1990 at the age of 53 but was still listed as the owner of record when Albany’s Secret made her one and only start at Oaklawn Park on January 27, 1991. Trained by D. Wayne Lukas and ridden by Aaron Gryder, the filly finished last of 12 in a six-furlong $30,000 maiden claiming race; she was third choice in the betting at 7-1 but trailed throughout. His new owner made a Facebook page to document their journey together. 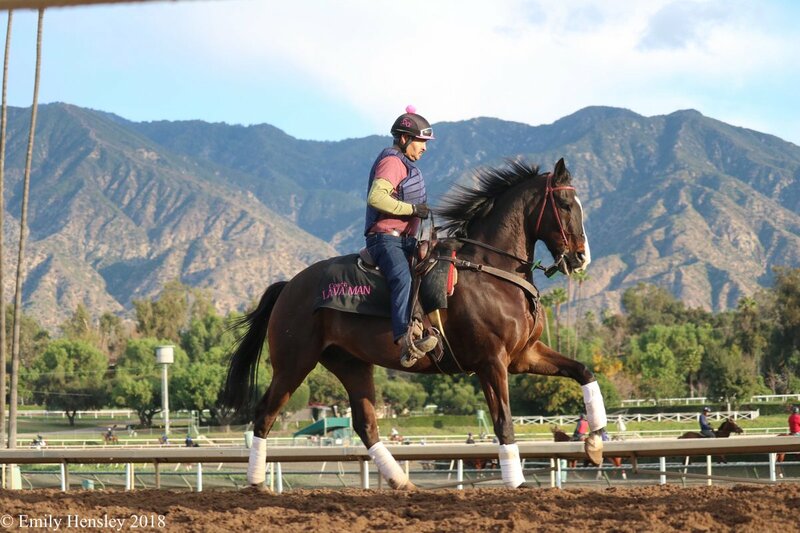 Lava Man the Parade Horse? Man, he looks amazing!